Can you use your phone on a cruise? It’s one of the most common questions that people have when they are ready to board the ship. These days our phones are so much more than just a way to call back home. They represent a way to keep up with our lives back in the real world, whether that be social or work. For most cruises — like those that go to the Caribbean — the answer is pretty simple. Yes, your phone will work, but you have to connect to expensive networks on the ship (more on these later) or pay international roaming charges. However, sailing on an Alaskan cruise is a different animal. Since you are traveling to the United States, that means your cell phone plan likely offers some service while in port. Unfortunately, it’s not as simple as using your phone as you would at home. Given that you will be traveling through international waters, rugged territory, and out of range of land-based towers, when and what service you have will be constantly changing. Let’s start by discussing your cell service while in port. If you are in a Canadian port such as Vancouver or Victoria, then you will be connecting to Canadian cell towers. Unless you have international plan or a provider like T-Mobile who allows you to call in Canada at no additional charge, then you are going to be charged for international roaming. Those rules change when you are in an Alaskan port like Juneau, Ketchikan, or Skagway. Since these are U.S. ports, your cell phone will work just as it would anywhere else in the United States — and have the same charges for data, texts, and calls. Where you might run into an issue is with coverage. Within the port cities themselves, you should be fine on coverage, even getting 4G data in many areas. Traveling outside of the ports will likely cause you to drop signal quickly, especially if taking an excursion to the wilderness. In addition, your coverage is going to depend on your cell service provider. According to their coverage maps, each company offers service in the Alaskan ports. You can see, however, that coverage definitely varies, with T-Mobile and AT&T offering the widest service. Your coverage gets tricky when you are at sea, and it’s something you should be careful to notice before using your phone. Since the Alaskan Passage is a relatively small area compared to the open ocean, there might be spots that you can pick up cell service while you are at sea. You’ll want to be sure to check at the top of your phone for the name of the network to make sure it’s your carrier before using. When out of range of land-based cell towers, you can still use your phone if needed, but it will be through service provided on the cruise ship. Most cruise lines use a service from Wireless Maritime Services (WMS) called Cellular at Sea. This services is turned on when the ship is more than 12 miles out from land. 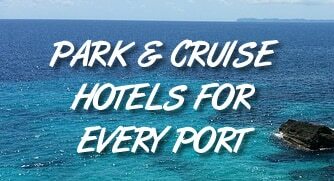 Most of the carriers also have cruise ship service plans that bring the prices down somewhat (and can be used both on the ship and on shore), but they are still astronomical compared to your regular land-based rates. Pretty much every cruise from Seattle to Alaska makes at least one stop in Canada. If you use your phone here, you will connect to Canadian towers and have to pay international roaming. The big exception is T-Mobile, which includes calls from Canada and Mexico in its plans. Keep in mind as well that cell providers have international plans that you can purchase for one month which will help bring your per-minute prices down. Unfortunately, we’ve heard horror stories of people being surprised by high bills after cruising. Whether it be calls made on one network that switch to another network during the call or apps sucking up data without the user knowing, there are ways that you can get a much higher bill than you expected. For that reason, we suggest turning your phone off or into airplane mode while you are aboard the ship. When you are on shore in Alaskan ports, then you can use your phone as normal without having to worry about overages.